Looking for dependable, easy to work on if repairs are needed, comfortable automobile. would like to get 160,000 miles (8-10 years)out of the car with minimal repairs. If you are considering new cars, the Equinox is out for now. The last design was very reliable but the car was redesigned for 2018. The previous redesign was 2010 so from 2014 to 2017 the cars built are among the best on the road. GM however needs about one year usually to work issues out so first model years are more troublesome. 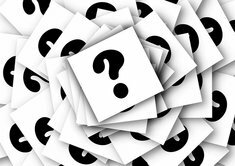 I advise against any first model year car as you are bound to face additional recalls and problems. Even the new 2018 Camry is having problems - it has already in the first four months of sales had its first recall, detaching fuel lines which can cause a fire. All built Camry's have to be brought in to be checked to see if the fuel lines are anchoring and in any case reanchor them. 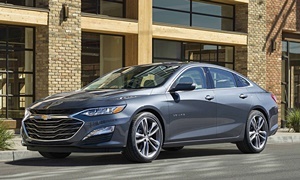 The Malibu was last redesigned in 2016 and has proven to be pretty reliable out the gate (GM can get it right sometimes like Toyota, but the first year like I said you never know). It is even better in 2017. It should be a solid bet as a new car as well. Most cars ride smoother than SUVs no matter what the brand but not always. For front seat support and comfort I don't know which is better. My advice is to try both out and see what you like. Just be aware, the Equinox is brand new so the reliablity of that is not known yet (just like the new Toyota Camry - it is probably good but you don't know until a year has passed). American cars are usually easier to work on (as long as they are not turbocharged). Japanese cars (with the exception of Mazda I've heard) are pretty easy, too. Toyota is more reliable than any brand and has been for a while. Many of their cars use old engine technologies and are easy to DIY. 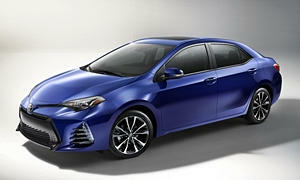 The Corolla is an example. It is well-known for being one of the most solidly built cars. It still uses an engine designed in the late 90s. Not the most refined, but it is super reliable and pretty efficient. They ride comfortably, come with all the automatic safety features standard, and have a high resale value. You'll get 200-250k miles easily. Toyota Camry's also have old engine technologies. The 2.5L is probably 8 years old now and the 3.5L is in most of their cars. Smooth, reliable, and easy to fix engines. 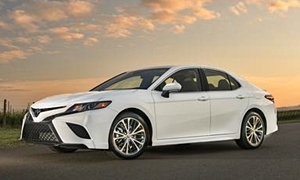 The new Camry is now very competitive with the other midsized sedans. It would be #2 on my list after the new Accord (which is harder to fix, turbo). You will get well over 200k miles. What AcuraT said about the first model years of cars is all very true. However, Toyota almost never has any major first year problems (because they barely change their engines). Recalls are always found the first few years with every car, though. 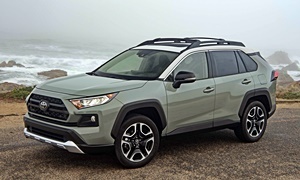 Some brands to watch out for first year issues with are Ford, Honda, Fiat-Chrysler (every year is bad), and all German brands. GM is usually pretty OK when it comes to this. I bought one of the first 2016 Prii and I was faced with one minor free-fix recall and my windshield cracked. Other than these expected first-year problems, nothing at 50k miles. Anything new enough to have a turbo in (like an Accord, 1.5L Civic, Equinox, or Malibu) and pretty much any hybrid should be off your list. Generally speaking, the newer the engine, the harder it will be to work on it. The Malibu and Equinox have all-turbo engines and I think you will find they are more complex. More maintenance will be required on these engines compared to GM's, Toyota's, and Honda's naturally aspirated engines. The 2012-2017 Equinoxes were some of the only reliable easy to fix ones. They also rode comfortably. Buick is the most reliable brand passing up Toyota recently. We just returned a leased 2015 GMC Terrain 2.4l and the wife said it was her most favorite vehicle she has ever owned. It had almost 50,000 miles so it wss 1/3rd the way to your goal without a problem and only returning to the dealership for free oil changes. 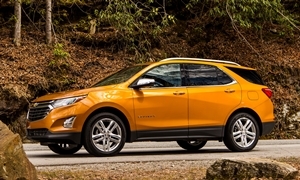 The CUV will be the most expensive compared to sedans and cars due to their popularity. The 2018 Malibu 1.5t can be found advertised on autotrader for around $15,000 or about half your budget. A slight correction: the previous Equinox had quite a few problems its first two model years. The 2012 was the first solid year. I wrote: "The previous redesign was 2010 so from 2014 to 2017 the cars built are among the best on the road." So I agree with what Michael wrote above. I said only the 2014 through 2017 were the good years, not 2010-2013 (Michael said correction, first two years - I wrote first four years were not as good). Also note, the new Camry I am referring to has a brand new four cylinder engine and V6 engine for the first time since I can remember. They share few parts with the engines in 2017. Why they may already have a major recall in the first four months. Otherwise, normally Lectorfuel is right - they tend to reuse older technologies to stay reliable. This time on the Camry they did not do that. Sorry, I misread what you wrote earlier.